All batteries have an expiry date. Same is true for smartphones’ batteries as well. However, the way you use your smartphone also goes a long way in deciding the longevity of your device’s battery. Here, charging habits as well as the chargers you use also play an important role. For example, leaving your phone charging through the night is sure to hurt the battery’s health in the long run. Similarly, using cheap chargers are dangerous both for your smartphone and its battery. 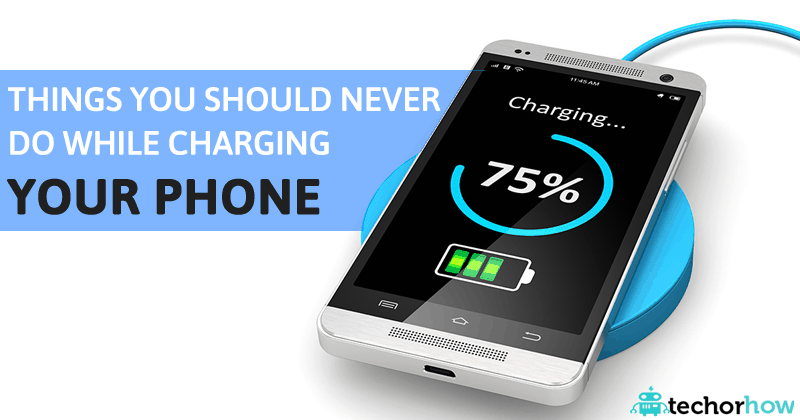 So, here are few tips on how to charge your smartphone and make its battery last longer. Always Charge Phone With Its own Charger. Always charge your phone with its own charger. Unlike laptops, smartphones use a universal charging interface ­ the microUSB port. However, if the charger you use does not match the original, it will affect battery performance, capacity to store charge and overall life (if done repeatedly). Always ensure that the replacement charger’s output voltage (V) and current (Ampere) rating matches the original adapter or is approved by the phone’s manufacturer. Avoid cheap chargers from unknown manufacturers. They do not include any safety mechanisms to protect against fluctuation and over charging. Adapter failure could permanently damage the battery and phone. 2.2 6. Avoid using third party battery apps. 2.3.1 8. Avoid constant charging. 2.3.1.1 9. Buy power banks that promise protection on over voltage , voltages surges, over charging. It is recommended that you remove the phone’s protective case while charging. It is natural for the battery to become slightly warm, but the case may act as a barrier and slow down heat dissipation. If possible, flip the phone over and place it on a soft cloth to protect the display. Always using a fast charger might not be the best thing for your battery’s health. This process involves a higher voltage to be sent to the phone’s battery, which results in a rapid rise in temperature. Opt for a normal charging cycle, if your smartphone provides this option in its battery settings. Alternatively, switch to an approved matching regular charger. In case your phone heats up abnormally, immediately keep the power button pressed for a few seconds till the display switches off. Allow the device to return to room temperature before powering it up. Do not leave your phone charging through the night. Overcharging is detrimental to battery health. 6. Avoid using third party battery apps. Avoid using third-party battery apps. Most of them affect battery life negatively as they constantly run in the background, aggressively shut down other apps; some take over the lockscreen to load advertisements and even recommend apps that will further optimise your smartphone. Also, do not fall for the browser ads that con you into installing an app because your phone is “apparently” low on memory. Whenever you charge, ensure that your battery reaches at least 80% charge. It is not necessary that it should always be topped up to maximum. Allow the battery to discharge to around 20% before you plug it in. Constant and unnecessary recharges shorten the lifespan of the battery . On the flip side, avoid allowing the battery to lose all power. 9. Buy power banks that promise protection on over voltage , voltages surges, over charging. 10. Avoid using smartphone while connecting to charger or power banks. Avoid using your handset while it is connected to the powerbank. Using the device in this mode will increase the internal temperatures and shorten battery life.